such as images, videos, web links, street views, maps, survey etc. and also provide a platform for comments, ideas, feedback and discussion direct on the document. Functionality that allows for overview pages that provide an easy tool to create project pages etc. 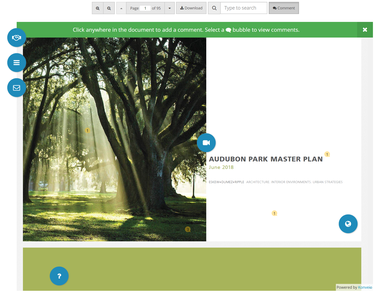 A survey builder to add surveys directly onto the document or embed any other survey into the social document as an interactive layer. ArneTech continues as the local partner is Australasia for Interactive Studios and Konveio. We will provide you with local demos, support, training etc. In addition, we ensure that all data for Australian clients are run on Australian server. If you want to learn more about Konveio, please contact us or check out our events page for upcoming events around Social Documents.